On 9 September this autumn the polling stations will open their doors and Swedes will vote in the Riksdag and municipal elections. Before this, we can expect a fair amount of political campaigning, electoral promises and debate. 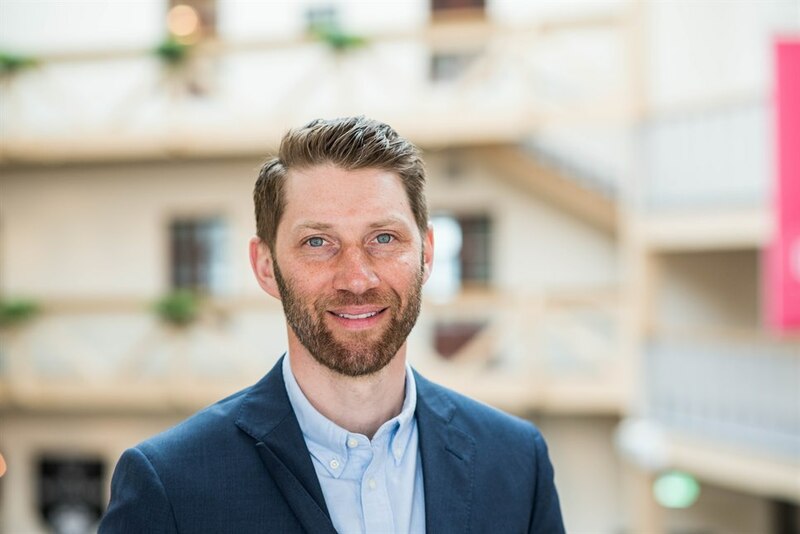 We have put the following questions to Niklas Bolin, political scientist at Mid Sweden University: What are the most important things to know about the 2018 general election? 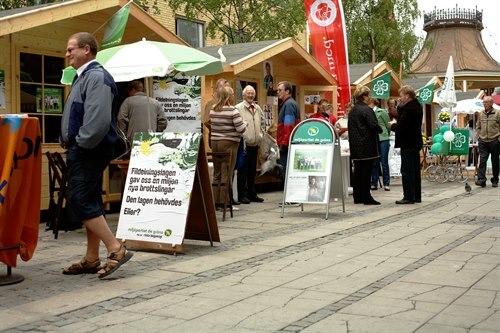 Several parties, including the Swedish Green Party (MP), the Liberal Party (L) and the Christian Democrat Party (KD) lie around the four per cent threshold. Which of them are most at risk of falling below it, and what happens if they do? It’s always very difficult to predict election results. A lot can still happen, especially when all these parties lie relatively close to the threshold. If you look at the support for these parties over the long term, you can see a very poor trend in the case of both KD and L. L has seen a fall in votes at every election since 2002. The trend for KD is even worse as voter support has fallen at every election since 1998. If these trends continue, both parties will find themselves in a precarious situation. If you look at the opinion polls since the last general election, KD is doing particularly badly as support has consistently remained very low. Although the Green Party doesn’t show the same long-term downward trend of the two right-wing parties, it is of course in a precarious situation too. After a turbulent term in office they’ve lost a lot of support among the electorate. One factor that will be important for all these parties is the extent to which they will benefit from the tactical voting of those whose sympathies lie with other parties. We know from previous elections that these parties have benefited from a relatively large number of tactical votes at the expense of the bigger parties. Some surveys show that in certain elections a third of the votes in support of KD came from voters whose first choice was actually another party. However, the parties cannot keep too low a profile in the opinion polls leading up to the election. That would mean a risk that those who might vote tactically will not do so because it could well be a wasted vote - that is to say, the party would still not achieve the four per cent threshold. Being ousted from the Riksdag is of course extremely serious, and means that you lose both economic resources, in the form of a fall in party support, and media space. And although the organisation of each party may be regarded as well structured, there are worrying signs here too. The Green Party has lost half of its membership since the government came to power, but now KD and L are small parties as well - factors that don’t bode well for these. At the same time, one can’t ignore the fact that the parties have been around for a long time and that their political profiles and political representatives are relatively well-known to the public. Therefore there is certainly a good chance they will return to the Riksdag in a future election. If one or more of these parties fall below the four per cent threshold, what might be the consequences for forming a new government? if a party falls below the threshold, this will most likely mean more support for the opposition. This in turn would be of great significance to the forming of a new government. If, for example, KD is ousted from the Riksdag, this would require a new kind of configuration in order for the Moderates to head the next government. In the same way, the exit of the Green Party would create problems for the Social Democrats. Which parties might conceivably collaborate after the general election? Swedish politics has been consolidated into two blocs for a long time. However, the admission of the Sweden Democrats in the Riksdag and their increasing voter support means that the prospects of one of the traditional blocs gaining an overall majority are extremely small. Up until the current term of office, the established parties have still believed that it is the blocs that should form the basis for forming a government. We now see that more parties are increasingly receptive to the idea of inter-bloc collaboration, even though the blocs are still presented as being the main alternatives. And indeed the traditional bloc system is the most feasible basis on which to form a government. That said, I wouldn’t wholly exclude some of the other alternatives that have been discussed in public debate. One example would be some kind of centre politics collaboration between the current parties in government and C and L.
Another kind of collaboration which is considered inconceivable by many is a so-called grand coalition between S and M. That has never before been tested in Sweden, but is becoming an increasingly common configuration throughout Europe, partly as a consequence of the success of the right-wing populists. Some have also spoken of a conservative bloc consisting of M, KD and SD. As things stand today, however, I see this as a less likely alternative. 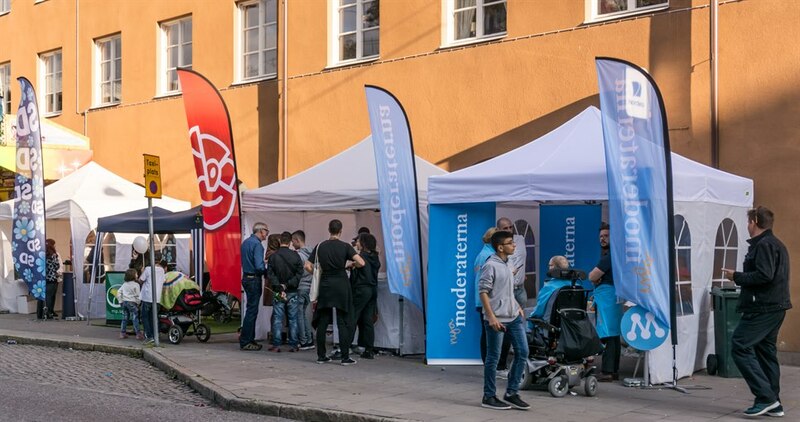 It looks like the Sweden Democrats will fare better in the general election this year than they did last time round, and right now they have 15-18 per cent of the votes according to the opinion polls. What does this mean for the outcome of the election? It’s slightly paradoxical that the gains SD is expected to make in the 2018 general election compared to 2014 need not be that significant. Given that the party is already holding the balance of power between the blocs, the balance will not change. At the same time, it’s clear that it will become harder and harder for the other parties to exclude SD from any collaboration the larger it gets. We can be sure that some will claim that exclusion of this kind is undemocratic, despite the fact that no democratic right exists to enter into collaboration with another party. Who is most likely to want to collaborate with SD? If by collaboration one means a coalition government, I think it most unlikely that a party would wish to collaborate with SD after the 2018 general election. If one means collaboration of a less formal kind, it is still too early to exclude that entirely. The move made by Anna Kinberg Batra in January 2017 was of course interpreted by many as meaning that the Moderates were receptive to the idea of some kind of collaboration, a move that was however followed by a fairly substantial drop in public support. This seems to have coloured the thinking of the new leader of the Moderates, Ulf Kristersson, who has taken a more dismissive approach to SD. At the same time, there are those in both M and KD who are more favourably inclined to enter into some kind of collaboration. I also believe that any changes in party leadership could prove significant. Many still regard collaboration with the SD as impossible because of the party’s history. The more time that elapses and the fewer original members of the SD leadership that remain, the less important this will become. Nor is it impossible that the new leaders of the established parties will see SD in a different light to the present leaders. We now see that more parties are increasingly receptive to the idea of inter-bloc collaboration, even though the blocs are still presented as being the main alternatives. Immigration and integration are top of the list for voters leading up to this election. Which party or parties will benefit most from this? Well, these issues have certainly been given greater priority by both voters and parties. It’s possible that this is partly a consequence of the so-called refugee crisis, but it’s also the result of SD’s huge electoral success in 2014. The Moderates above all lost voters to SD. One conclusion drawn from this is that the party must tighten up its immigration policy. However, the Moderates are far from being alone in this regard. It seems today that a less generous immigration policy is something that almost all the parties want. This is essentially precisely that which SD very much favours. Parties usually do well at elections when “their” issues are top of the agenda. It certainly seems to be the case that some voters who had abandoned the established parties to vote for SD returned once more stringent measures were put in place. But there is no doubt that the long-term trend for SD has been a positive one. Maybe even more important is the fact that the focus on immigration and integration and the more stringent measures as a consequence have ensured SD’s success in terms of single-issue politics. Although the party says it wants to go further than the government and Riksdag have done so far, the change we see is clearly a step in the same direction that SD is taking. This is in stark contrast to the liberalisation of immigration policy that the Reinfeldt government implemented together with the Green Party. What is needed to attract voter support this year? As always, it’s about getting the election campaign to address the issues the parties want to talk about. Right now things are looking good for SD, for example. There is a strong focus on immigration, integration and law and order. This fits in well with the reality as the party sees it. The Green Party for its part needs to switch its focus to issues regarding the environment and climate.